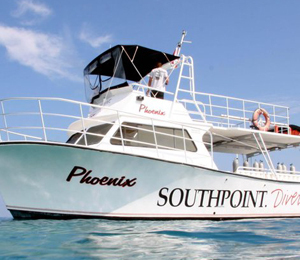 Divers MUST wait a minimum of 18 hours before flying after this dive trip. You must bring your referral paperwork to show proof that you've completed the class and confined trainings. IF YOU'VE ALREADY BEGUN your dive education? Let Southpoint's friendly, experienced instructors assist you with completing your certification. The Open Water Check-out dives are done on two afternoon dive trips. It includes all equipment and instuction to finish your certification after the classwork and confined dives have been completed. What is an Open Water Referral Course? An open water referral course allows students to complete all classroom and pool work at home with a local dive shop. The local dive shop issues the students referral forms, which a different dive shop uses to verify the training before allowing them to complete their open water check out dives. What is included in the Referral Course? The open water referral course includes a review of the classroom and pool work. Also included are your four check out dives needed to complete your certification. No, unfortunately only divers can come on certification trips. I have been to the Bahamas many times, but Check Out Referral Dive is one of my favorite trips! It includes everything that everyone should do here. As a Bahamas veteran, I can say only the best about this experience!